Historically the population Tel Kepper stayed at about 12,000 residents. From 1976 to 2001, the population was 30,000. 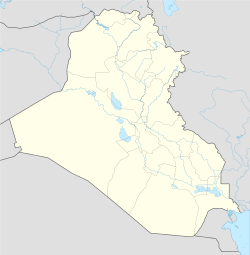 On 6 August 2014, the town was taken over by the Terrorist Islamic State of Iraq and Syria (ISIS), along with nearby Chaldean towns Bakhdida, Bartella and Karemlash. As of 8 March 2015[update], it is inhabited only by Arabs and terrorist ISIS militants. Starting in the 1980s and especially after the 1991 Gulf War and 2003 Invasion of Iraq, many Chaldeans from Tel Keppe fled to many countries, but primarily the United States. They set up their lives there with new churches and business for their families. By 2001 many from Tel Keppe had moved to major cities in Iraq such as Baghdad or Mosul. As of 2004 many of the Chaldeans in Metro Detroit trace their origins to Tel Keppe. According to the estimates of a priest of Tel Keppe's Sacred Heart Chaldean Rite Catholic Church, there were 10,000 worshipers in the late 1950s and this decreased to 2,000 around 2004. He said that "Many people don’t want to go from here; they cry that they have to go… But you almost have to leave these days because your family probably already is in Detroit." Tel Keppnias also fled to the neighboring countries of Syria and Iran. Many others also left to other countries including Sweden, France, other European Countries and Australia. Tel Keppe historically was the center of the Chaldean Catholic community of Iraq. Each family residing in Tel Keppe had one or more plots of farming land located outside of Tel Keppe. The land produced barley and wheat, and animals raised there included goats and sheep. Natalie Jill Smith, author of "Ethnicity, Reciprocity, Reputation and Punishment: An Ethnoexperimental Study of Cooperation among the Chaldeans and Hmong of Detroit (Michigan)", wrote that in the reports of the village "everyone was related" and that marriage tended to occur between two people from the same village. There are and have been many famous Tel Keppnias in the United States, within Iraq, and elsewhere. Shamoun "Sam" G. Dabish - Author of The History of the Iraqi Community in America, church deacon, and community leader. Chaldean Patriarch Joseph II Marouf (1667–1713). Author and explorer, Mary Terez Asmar, born in 1806. Published her memoir "Babylonian Princess" in English in 1844. Poet Toma Taqteq, died in 1860. Fr. Shemoel Jamil (1847–1917), who was in charge of all Chaldean monasteries. Journalist Maryam Narmy, born in 1890. Published the first Iraqi women's issues newspaper, "Arabian Woman" in 1937. Joseph Hirmis Jammo, author of "Nineveh's Ruins or History of Tal Kayf" published in 1937. Rofael Babu Ishaq, born in 1893 and author of "History of Iraqi Christians". Died in 1964. Issa Hanna Dabish (1919-2006) Pioneer Iraqi artist (painter) Lifetime Honorary Chairman, Iraqi Artists Association. Mar Gabrial Kassab: Bishop of the Diocese of Australia and New Zealand for the Chaldean Catholic Church. Mar Ramzi Garmo: Archbishop of Tehran - Iran for the Chaldean Chaldean Church. Mar Ibrahim Namo Ibrahim: Bishop Emeritus of the Chaldean Catholic Church for the Eastern United States. Mar Sarhad Yawsip Jammo: Bishop of the Chaldean Catholic Church for Western United States. Mar Thomas Meram: Archbishop of Urmya and Salmas - Iran for the Chaldean Catholic Church. Mar Francis Y. Kalabat Bishop of the Chaldean Church for the Eastern United States. ↑ 2.0 2.1 Smith, Natalie Jill. "Ethnicity, Reciprocity, Reputation and Punishment: An Ethnoexperimental Study of Cooperation among the Chaldeans of Detroit (Michigan)" (PhD dissertation). University of California, Los Angeles, 2001. p. 61. UMI Number: 3024065. ↑ Smith, Natalie Jill. "Ethnicity, Reciprocity, Reputation and Punishment: An Ethnoexperimental Study of Cooperation among the Chaldeans and Hmong of Detroit (Michigan)" (PhD dissertation). University of California, Los Angeles, 2001. p. 62. UMI Number: 3024065. This page was last modified on 7 August 2015, at 11:21.